The ongoing erosion of trade barriers and the development in universal trade have made the analysis of trade patterns an important area in global economics. This study focused on the development of natural rubber products in Malaysia. 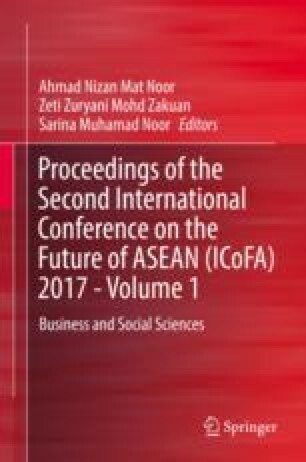 It presents both numerical and geometrical approaches to analyze the intra-industry trade and trade pattern of natural rubber products in Malaysia. In addtition, the adjustment pressures associated with the natural rubber product industry are identified. The reason behind this study is the inactive demand of natural rubber products in this country compared to the other countries such as Thailand and Indonesia. This study will use the Azhar and Elliot index (AE index) as the numerical tool and the industry trade box as the geometrical tool in demonstrating the import and export activities of natural rubber products. The applicability of this approach will be expressed using the statistics of import and export values of natural rubber product industries in Malaysia from the year 2000 to the year 2014. The existence of adjustment pressures is identified for each of the natural rubber product industries. Results showed that there were several products that have been identified as net importers such as tires, inner tubes, footwear, and industrial rubber goods, whereas the rest of the products which are latex goods and general rubber goods were recognized as the net exporter. Overall, Malaysia has been identified as the net exporter of natural rubber products.